In recent decades, there is an increasing trend in the occurrence and complexity of disasters, while donors are becoming more demanding on the performance and accountability. Hence, there is great pressure on humanitarian organizations to improve the effectiveness and efficiency of their relief operations. For effective response to an emergency, humanitarian organizations must prepare their existing resources well before its start. 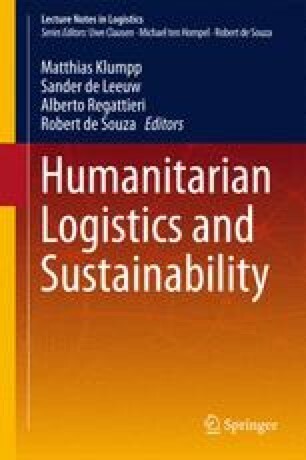 This chapter develops a system dynamics model as a decision-aid tool for humanitarian organizations to prepare beforehand. The model is able to evaluate the effectiveness of common preparedness strategies such as prepositioning and visualize their impacts in a competitive environment with two humanitarian organizations. Simulation results show that strategy that reduces the lead time is always efficient but not so for prepositioning strategy. In the case of only the small organization prepositioning stocks, the overall performance would be worse. The study would help improve the operating efficiency of humanitarian organizations as well as their sustainability.